Integrate your CPU with your table. 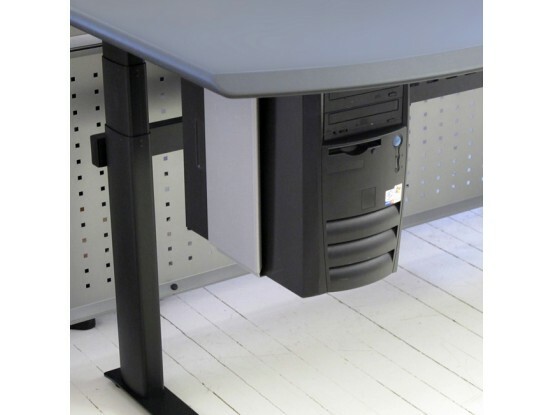 Mounts under table surface with slide for easy access, and rotates for convenience. 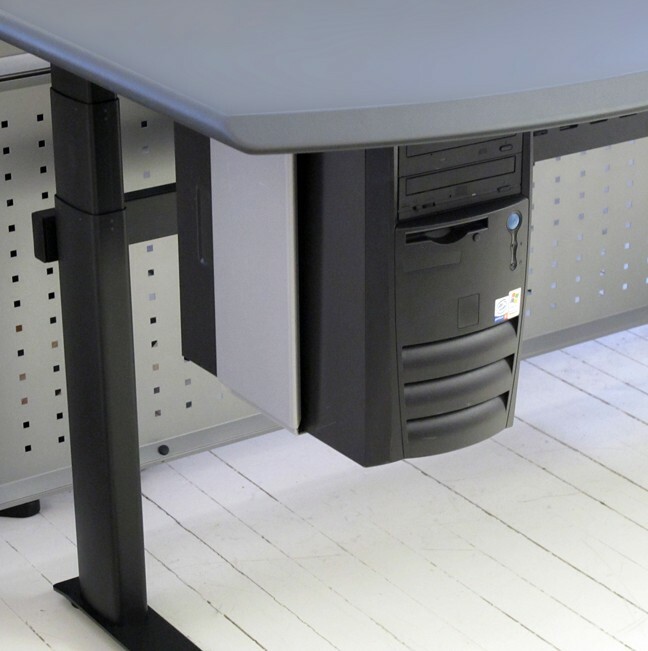 Mounts left, right, or both sides of all single surface tables. Can also be mounted under Pro and Maxo tables. Width adjustment: 3"-9". Height adjustment: 10"-21". Other sizes available. Retro-fittable. Color Silver.